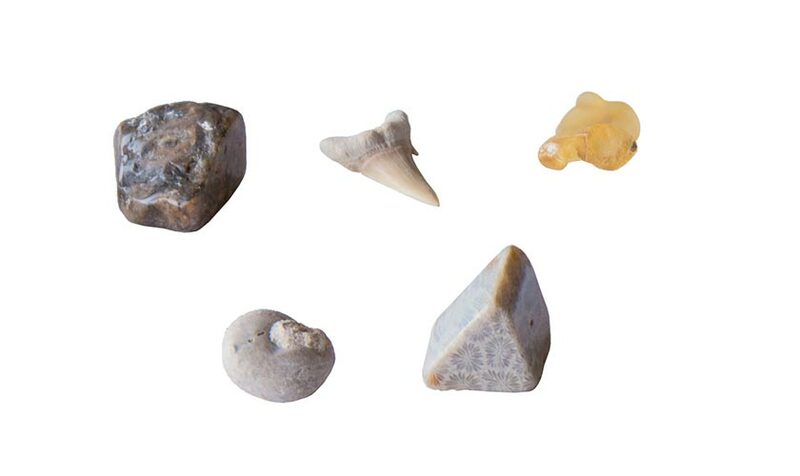 Learn how paleontologists dig up fossils and where can you find them in nature. 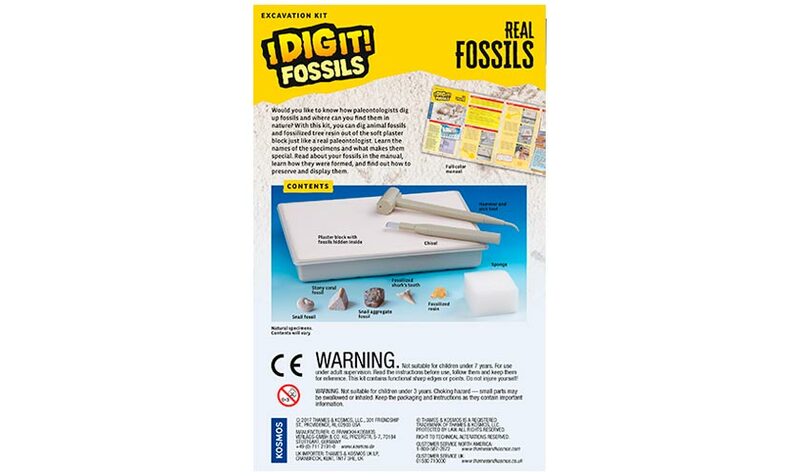 Dig animal fossils and fossilized tree resin out of the plaster block. Learn about your fossils, including their names, what makes them special, how they were formed, and how to preserve and display them. 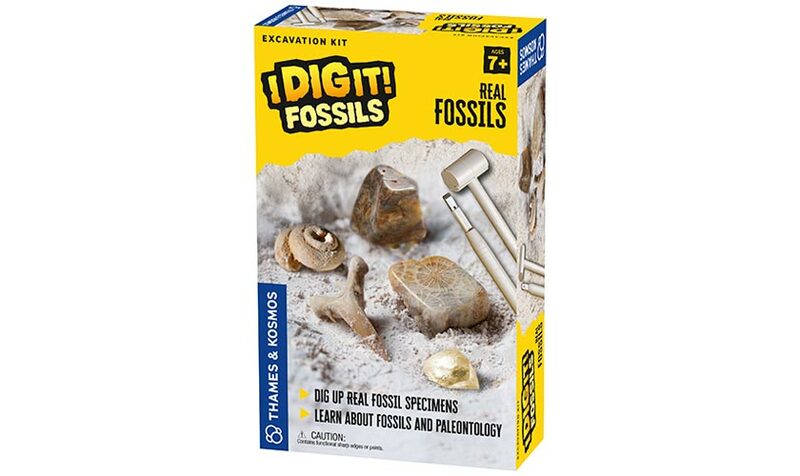 The kit includes a snail fossil, stony coral fossil, snail aggregate fossil, fossilized shark tooth, and fossilized resin, and the tools to excavate them from the plaster block.